This week, I discovered a fabulous new resource for parents and educators that is perfect for every family's Edutainment Shelf. If you're looking for quick ways and simple explanations to help your son or daughter (or yourself!) 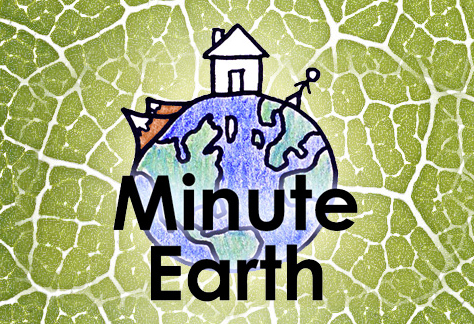 understand how things works in the world around us, check out the MinuteEarth channel on YouTube. Created by Henry Reich of MinutePhysics, this awesome little channel features science and stories about our amazing planet. Most of the videos are around two minutes and cover a lot of ground, with sensible, easy-to-understand explanations for everyone to understand. These are great for supplementing science topics that are covered in school. Just a reminder: Not all YouTube content is suitable for children. You should have your Safety Mode on, and/or be present when your child is watching the video. And as usual, always watch videos before sharing them with your children to ensure that they are appropriate.